Laura Holt is highly skilled and well-trained private investigator. But when she tries to start her own agency, things don't go as planned; it seems that people don't have faith in a female private investigator. So she alters the name of her agency from "LAURA HOLT INVESTIGATIONS" to "REMINGTON STEELE INVESTIGATIONS". And all of a sudden business is booming but unfortunately for her, the clients want to meet Remington Steele, who doesn't exist. 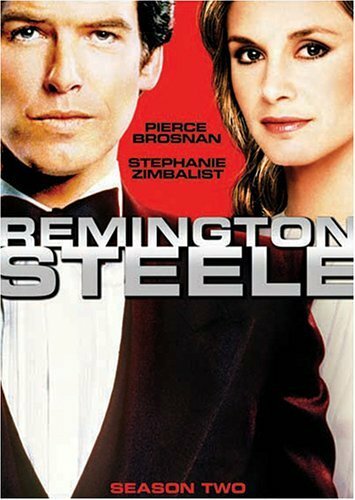 During one of her cases, a man, who's a thief, is trying to steal the items that Laura is protecting but he is somehow enamored with Laura and vice versa, and accidentally discovers that Remington Steele is fictitious. And after deciding not steal the item, he stays in town and assumes the identity of Remington Steele. Now, she thinks that it's just fine--cause the clients can finally meet Mr. Steele. But her associates Murphy and Bernice don't think he can be trusted. Eventually his skills prove to be useful and he too learns how to be an investigator. And while their relationship becomes personal Laura is a little hesitant to get too involved cause of his unwillingness or inability to tell her about himself, in particular his real name. After the first season, the characters of Murphy and Bernice were written off, and Mildred Krebs, a former IRS agent joins the firm. Private eye Laura Holt grudgingly accepts a new partner when a mystery man assumes the identity of her fictitious boss, Remington Steele. Together, the two battle crime as their feelings for each other. The DVD release of this show has allowed me to go back and visit an old favorite. I had not seen the episodes since their very first run, so I was curious if I would still like the show and still derive the enjoyment from it that I remembered the first time through. Well, good news: the show was just as good as I remembered it, and had held up well for being 20 years old. Pierce Brosnan displayed the charm that made him one of my favorite TV stars, and his chemistry with Stephanie Zimbalist was still excellent. The shows themselves are extremely well-written. Unlike shows on TV today, this show didn't talk down to you; the characters were sophisticated and spoke like they were well educated, not like they hung out at the bar all the time. The wit hasn't been lost, either; I laughed through many of the episodes I watched. This was like catching up with an old friend. I can't wait to see the second season! I'm sure anyone from the 80s remembers this show. A piece of trivia:Pierce Brosnan signed on to play James Bond in the late 80s, but then had to back out when this show (which everyone thought had been cancelled) got renewed at the last minute, and was able to take the role in the 90s. It involved a lady who created a detective agency and put her name on the door;when no one would hire a detective agency with a woman's name, business boomed when she created a fictitious boss and put HIS name on the door. Problems arouse when they started wanting to meet him, which were solved when a thief with a mysterious past (which, along with his real name, was never revealed) assumed the boss's identity. This show had a good combination of drama, mystery, comedy, and romance. 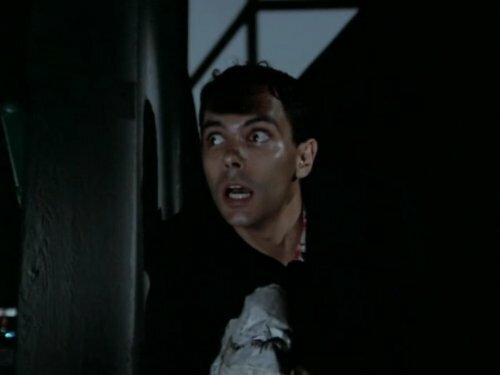 It was funny to see Brosnan's character struggle to learn the detective trade and act out classic movie scenes to help solve cases, and the episodes featured fun cases. Anyone curious about 80s TV mystery dramas should watch this to satisfy their curiosity.